Making videos is where it’s at right now – people want to see it, to believe it. Videos aren’t just helpful and entertaining for the audience watching them, they are also a tool that can help business owners take their business to the next level. The benefits are tremendous when it comes to going the video route as an entrepreneur and this thought is reiterated with today’s Podcast episode. 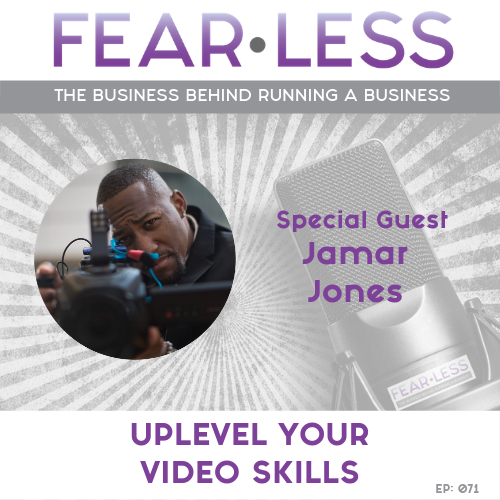 Jamar Jones, CEO & Founder of Foureva Productions, covers the platforms to use, benefits of video, and how long videos should be to keep your audience engaged. He believes that video is the best way to showcase you and your business in the right light – essentially a press kit of who you are! A topic that is brought up and perhaps one that is very common with anyone thinking about making videos is – what if you’re too nervous? Jamar’s opinion is honest yet effective! Have you thought about going the video route? What’s holding YOU back?